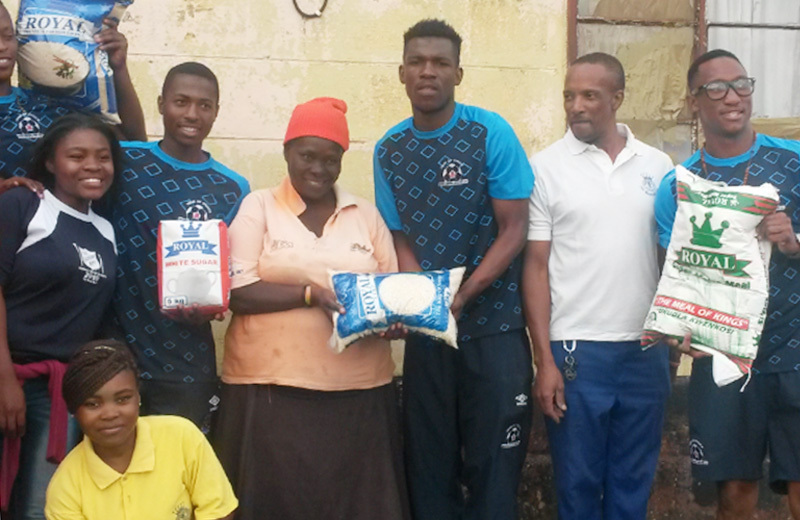 Maritzburg United donated food parcels to families in Imbali Township last Friday as part of their Corporate Social Investment. 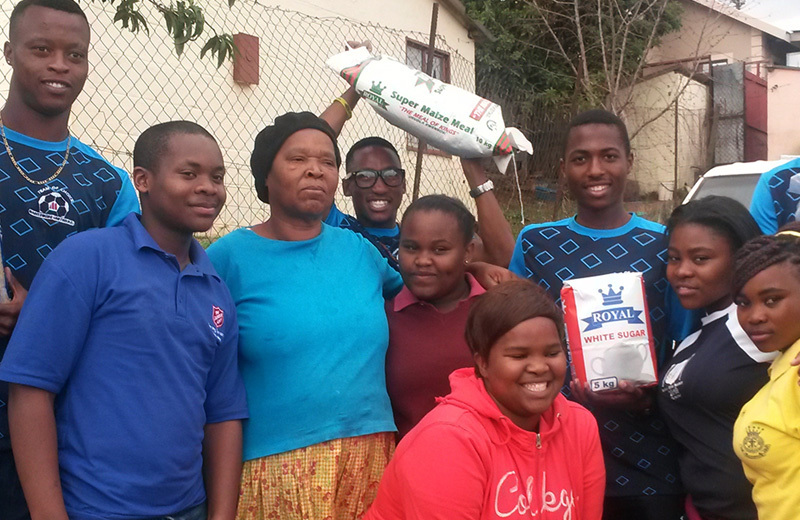 Thirty households each received 10kg rice, 10kg mieliemeal, 5kg beans and 5kg sugar. This was part of the 40th anniversary celebrations of the Salvation Army at Imbali. The Church, which has a partnership agreement with MUFC avails its brass band to play at all Maritzburg United home games, and the agreement is that the club will assist the church in their community outreach programmes. “We have a good mutually beneficial relationship with the Salvation Army. Their brass band adds a lot of vibe at our games, we have a responsibility to give something in return,” said the Marketing and Communications Manager Brian Zuma. “Our players enjoyed being part of putting a smile on people’s faces” he concluded. 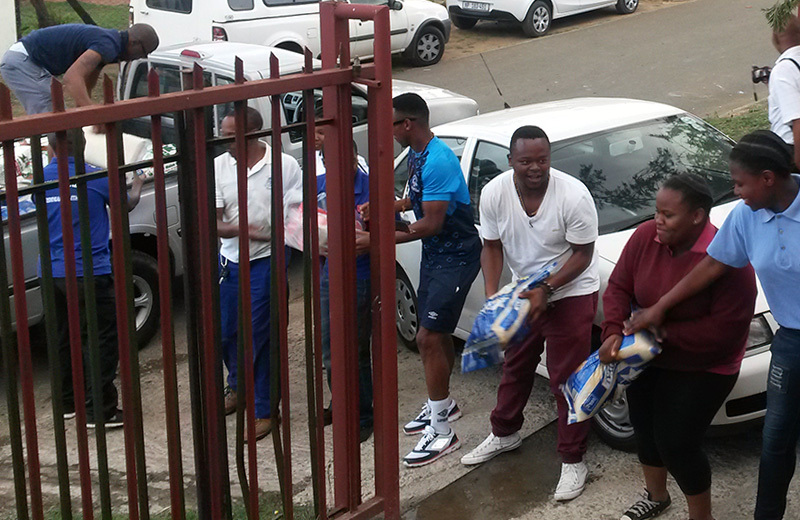 The fans came out in their numbers to meet their favourite players, Thabang Matuka, Bandile Shandu, Tsepo Moloto and Ayanda Nkosi as they handed out the gifts. 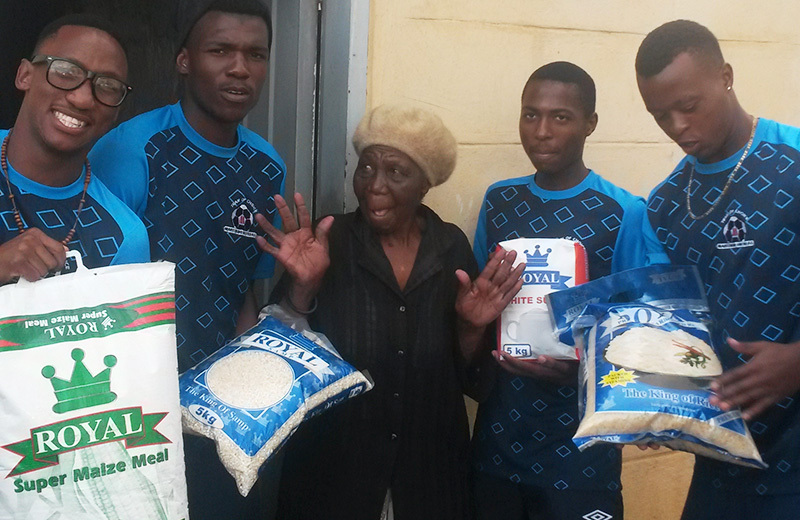 The recipients of the food parcels were very grateful to the club for the gesture. “We brought them an early Christmas,” chuckled Zuma.